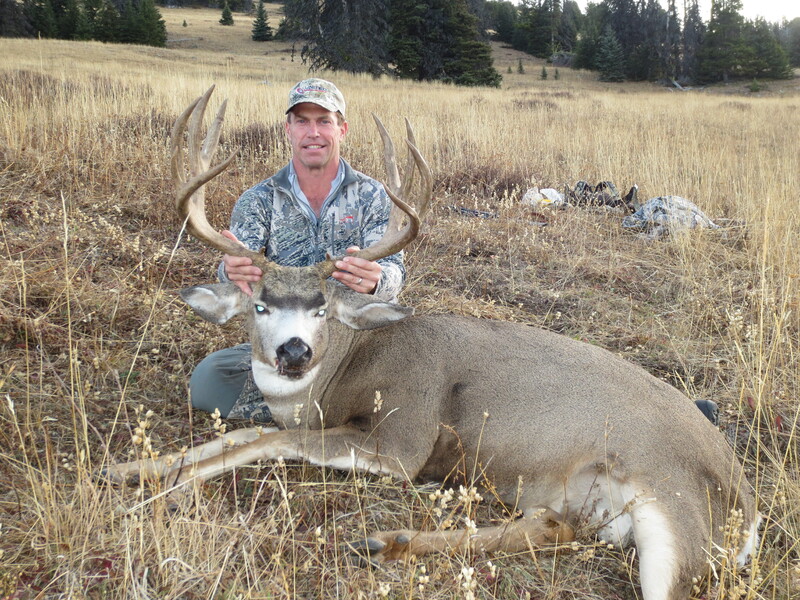 The Mule Deer Season starts September 10th and at the beginning of the season, we hunt in the high country. We use horses to get into the mountains, approximately a seven hour ride to base camp. Our camps are suited 7000 feet on the edge of the alpine. Horses are used to get from Point A to point B but a lot of hiking is still required to get quietly into areas where the big bucks live. For accommodations we have cabins. The camps with cabins have showers available. In order to be in a good spot for the early morning or late evening hunt, spike camping may be necessary. The high country is a great place to work up a good appetite. We supply all our camps with good wholesome food prepared by a camp cook or the guide, depending on the camp size and the area being hunted. Most of our camps are suited near alpine lakes filled with frying pan size rainbow and cutthroat trout. Grouse hunting is also available at this time. When the snow starts to fall in the high country they Mule Deer move down to a lower elevation for the rut. From October to the end of the season we have four wheel drive hunts. In the lower mountains there are many access roads that we use to travel from one area to the other. Hiking is necessary to get back off the roads to where the trophy bucks hang out. On the hunt the accommodations are at the lodge at home where we start from each day and to return each night. The quality of bucks harvested over the past years has been the same in both the early and the late season. We have a 75% success rate on trophy bucks scoring 160 Boone & Crockett and better. The bucks in this area have a lot of mass with deep forks. The average inside spread is 20-24 inches and the outside spread ranges from 20-30o inches with cheaters. Although our deer populations are very good, sometimes they are not visible because of the heavy treed cover which they live in. 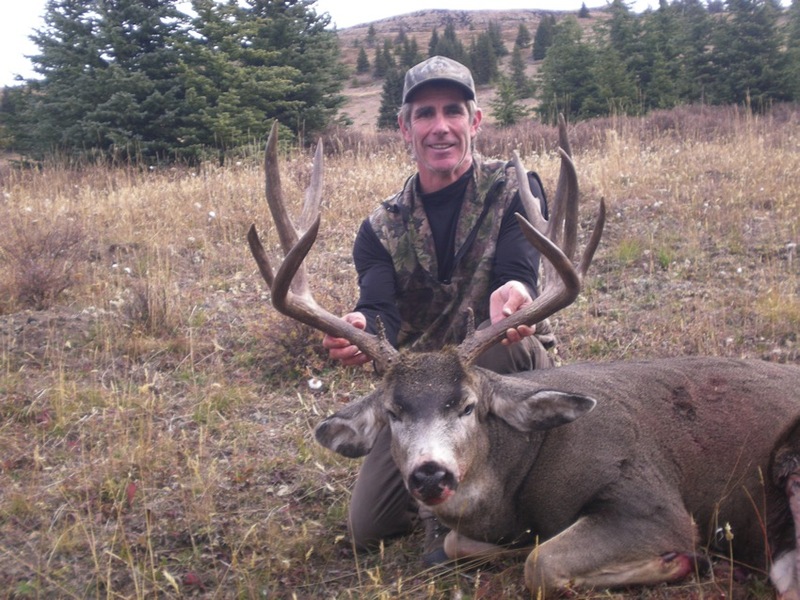 If you are looking for a trophy mule deer with mass and deep forks in British Columbia’s best mule deer hunting area, this is the place to consider for your next hunt. If you require further information about this hunt please feel free to phone.